14 November 2018. By John Rega. Sustainable finance and financial technology are getting their own unit in the European Commission, raising the profile of those policies as the EU executive body prepares for its next mandate. Martin Spolc, now head of policy for the capital markets union, will take charge of the team for sustainable finance and fintech in January 2019, according to a document seen by MLex. The shift comes within a rotation of senior posts at the commission’s Directorate-General for Financial Stability, Financial Services and CMU — DG Fisma, in Brussels parlance. Mario Nava will serve as a director of the DG Fisma branch overseeing Spolc’s current and future units, along with the teams for retail financial services and the free movement of capital. He returns to the commission after being ousted by the new Italian government from a post heading the country’s market regulator, Consob. Other units in Nava’s future directorate will get new leaders, as well. Tanya Panova, formerly an aide to commission financial-services chief Valdis Dombrovskis and now heading an administrative unit at Fisma, will take over for Spolc at CMU. Eric Ducoulombier takes charge of retail finance, where he was once deputy head, after most recently running inter-institutional relations and planning. He replaces Ralf Jacob, who will move to macroprudential policy, which aims to address wider economic risks by adjusting rules for individual banks and other financial companies. Sustainable finance, or efforts to steer the financial industry toward environmental and social goals, has already been a signature initiative of the current commission, which concludes its five-year term in 2019. Under Dombrovskis’s leadership, the executive has proposed a law — still under debate among lawmakers — for financiers to disclose their sustainable finance policies. Other legislation seeks to define terms such as “green” investment. Another bill aims to spur investment by defining rules for stock-market indexes that track companies’ impact on climate change. Those moves were spearheaded within DG Fisma by Felicia Stanescu, head of its overarching policy unit and international affairs. She’ll remain head of unit for policy definition and coordination. International affairs will break into a separate team led by Almoro Rubin de Cervin, who’s now head of macroprudential policy. Further changes in sustainable finance for the next commission could include creating regulatory incentives for environmentally friendly finance, and expanding the concept beyond climate, to goals for social welfare and good governance. 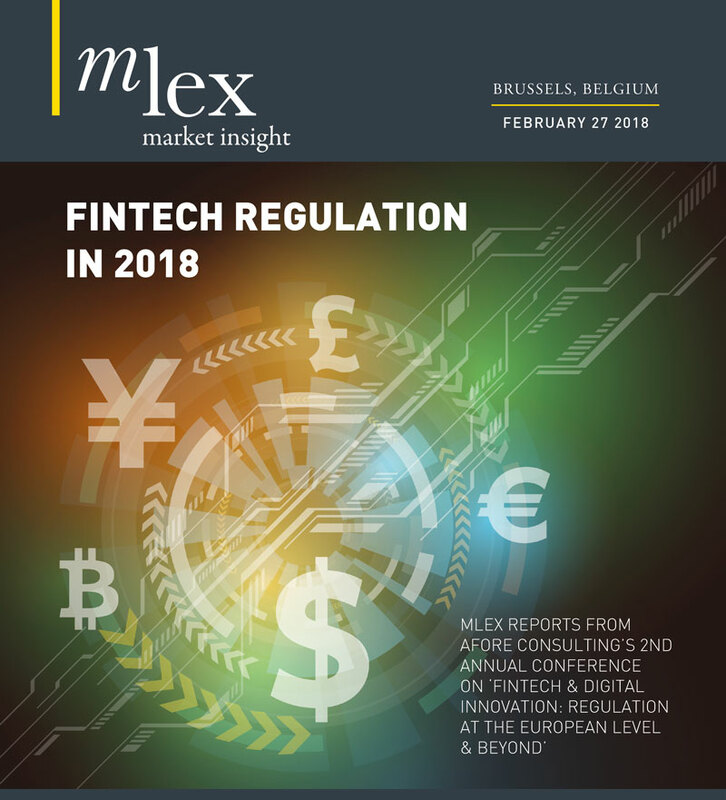 On fintech, the commission in March proposed legislation and issued a plan for further actions, including the design of a blueprint for regulators to let companies test novel products in UK-style “sandboxes.” The EU executive meanwhile is seeing through implementation of a law, proposed by previous commission leaders, that opens payments to fintech firms rivaling banks. Peter Kerstens, who helped shape the current agenda as an adviser to DG Fisma chief Olivier Guersent, will remain adviser on technological innovation and cybersecurity. Under the organigram, he’ll report to Nava. But the current commission has left decisions on other areas, such as virtual currencies, to future leaders. The next edition of the executive body may consider efforts to spur other uses of blockchain technology and digitization of corporate reports. It also could seek rules for “robo-advice” for investors and other uses of artificial intelligence in financial services. The next political appointees to decide on those matters are due to arrive at the commission late next year.